Halloween 2018 has arrived – and NBC 6 has the top stories for Wednesday. Weather wise, after several days of cooler weather in South Florida the high temps in the mid-80s are back with no rain in the forecast. No. 1 – Kids (and some adults) hitting the neighborhoods for candy on Wednesday? Are you trick or treating tonight? Try to do it before dark - -or if you're waiting for the spooky surrounding, make sure you can see and can be seen with flashlights, reflectors on your costumes (no candles or open flames) and try to stay off your cell phone so that you're paying attention. But turn to your phone for the free FDLE app for your device - lots of great resources, including how to find sexual predators in your neighborhood. 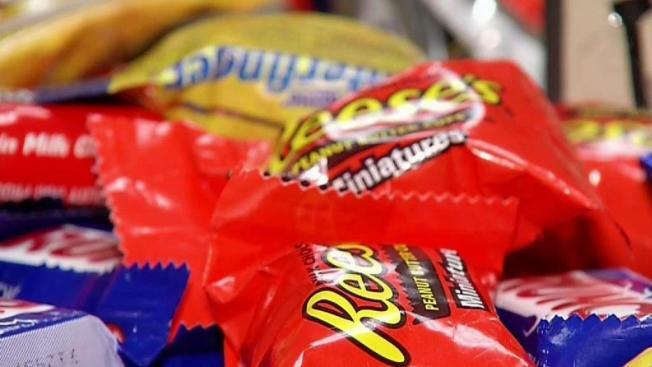 According to CandyStore.com, Snickers is the top treat for Halloween here in Florida. We ate over 330 tons of the candy bars last year alone. Skittles bumped down to second place, followed by the always popular Reese’s peanut butter cup. No. 3 – Could the date of Halloween be moving? A new online petition is asking the White House to declare the last Saturday in October as "Halloween". Supporters, which includes the Halloween & Costume Association, say the change would give parents more of a chance to accompany their kids on the spooky stroll - so far, the petition has over 30 thousand signatures. Pizza Hut teamed up with Toyota on a new delivery vehicle. The Tundra Pie Pro is a concept hydrogen fuel cell truck that not only cooks pizzas, but uses a pair of robot arms to move them along the line. In a tweet posted Tuesday, West says that his eyes are now wide open and he realizes he was spreading messages he doesn't believe in. West attracted a lot of attention recently over his public support but says he is now focusing on being creative.